Our Driver Guide will pick you up from your hotel, Guest House or Residential House as early as 0730am after the breakfast, there after depart Nairobi and proceed on to the Masai Mara Game Reserve with a brief stop over at the viewpoint of the Great Rift Valley, after few minutes of photography head on for the next 2 hours to arrive in Narok for lunch. After lunch embark again for another 2 hours on the bumpy road which leads you now to the famous Masai Mara. On arrival you will be received by our Staff in the camp and then check in. There after leave for about 2hours late afternoon game drive which will unfold to you the beauty of the African Sunset. Return to the Luxury Camp for dinner and overnight. This will be the most exciting day in your adventure experience, the breakfast will be served as from 0730am and there after proceed for a full day Serengeti game drive. 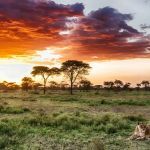 You will have a picnic lunch on this day as the whole day will be spent exploring this Extension of Masai Mara Game reserve where the migration takes place annually, with a lunch and leisure break at the picnic sites in the mid afternoon. 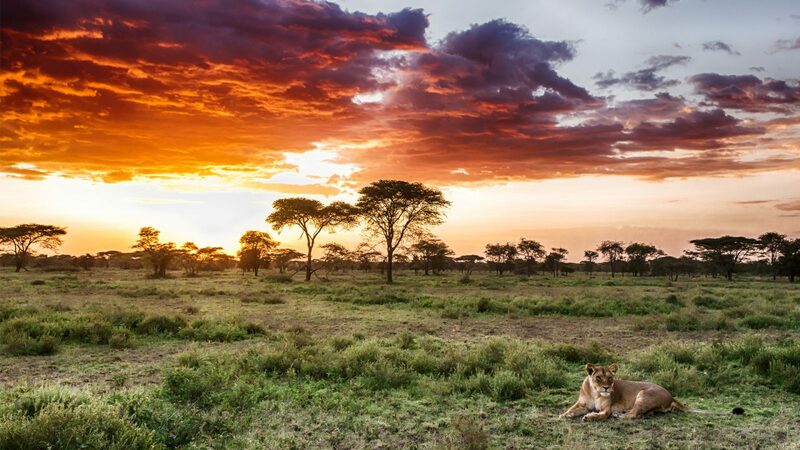 The term Serengeti means endless plains in Masai language. In the central plains there are carnivores like leopard, lion, hyena and cheetah. This park is normally the scene of the annual migration of wildebeest and zebra that occurs between the Kenyan Mara and the Serengeti. Varied bird species can be seen here including eagles, ducks, geese, egrets, vultures, secretary birds, ibis, stork, herons, kites, pelicans, cranes and guinea fowl. The Serengeti National park is a arguably the best known wildlife sanctuary in the world with over 3 million large mammals. About 35 species of plains animals can be seen there including the “big 5” - Elephant, Rhino, Lion, Leopard and Buffalo. Other common species found here includes hippo, giraffe, eland, impala and other antelope types, baboons, monkey and a profusion of over 500 species of birds. In May or early June, huge herds of wildebeest, gazelle and zebra begin their annual spectacular migration northwards. In their wake follow predators, lion, cheetah and wild dogs with vultures circling overhead! Come back to the camp for dinner and overnight.